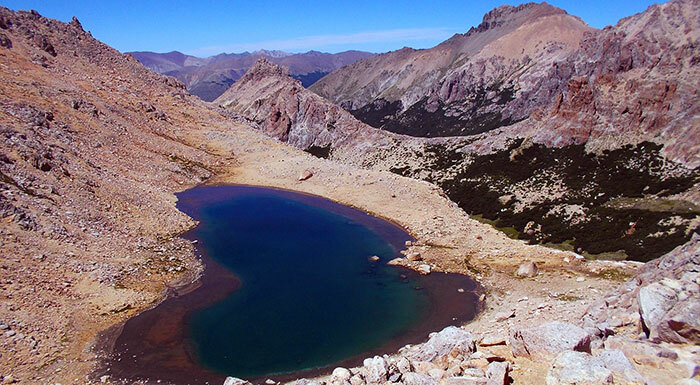 A classic day hike in Bariloche, accessing Frey Valley through Catedral Ridgeline is a must. The adventure starts at Catedral Mountain Ski Villa, here you take the lifts up to the skyline. At this point you will be amazed by the views of the National Park. 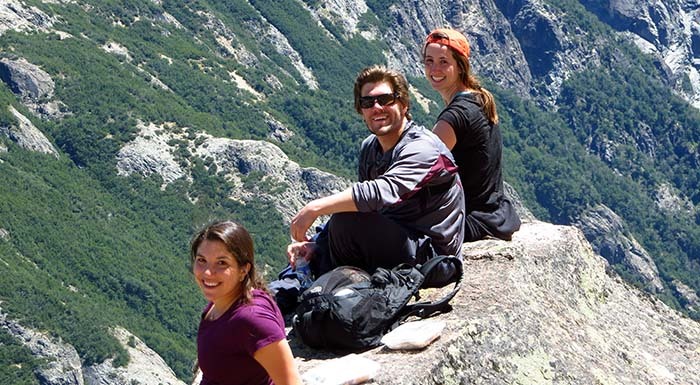 The hike follows the ridge of Catedral mountain heading West. The first half an hour is an easy hike. As soon as we leave the ski resort area the trail becomes more challenging though fun. The progression involves some scrambling across boulder fields and loose rock. It is very scenic pass and enjoyable for those searching more than just an easy mountain trail. Andean Condors often flying closely to the ridge, stop to appreciate their size and calmness while they use the ascending winds to cruise over the mountains. After two hours you will reach a small saddle, here the descend begins along two beautiful alpine lagoons, which are called Schmoll and Toncek. 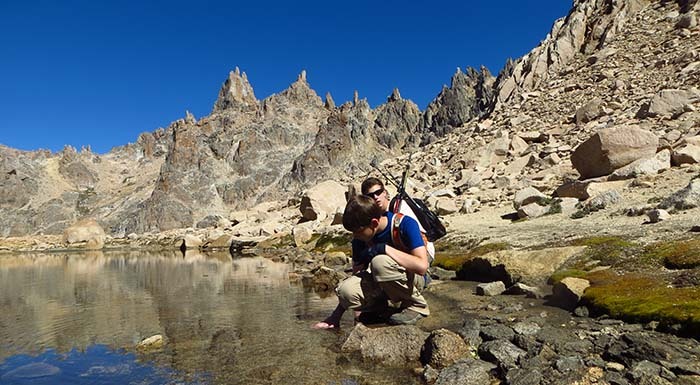 At Toncek lagoon you reach Frey Mountain Hut, located at 1700 meter of elevation sitting on a beautiful alpine valley. 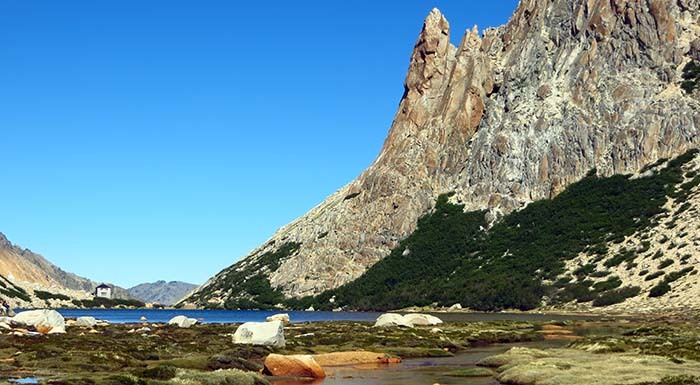 This will be your lunch stop, while enjoying the dramatic views of the granite spires, which provide some of the best rock climbing in South America. The descend back to Villa Catedral follows a well used trail often used to hike up to the hut. It continues along Van Titter creek and crosses beautiful forested areas. 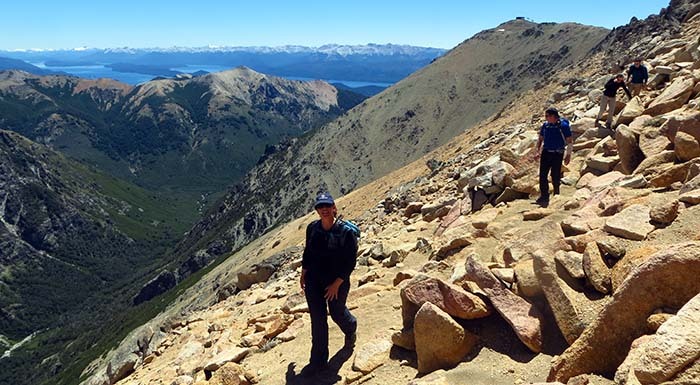 This hike is a good challenge and offers a great chance to learn about the mountain culture of Bariloche and get a good grasp of what the Patagonian Andes look like. Elevation gained: 150 mts, it´s almost all downhill.